SANTA ANA, Calif. – Aug. 15, 2018 – Horrible Imaginings Film Festival will add a special bonus night to their already-packed festival lineup on Labor Day Weekend. Director Kevin Tenney will make a guest appearance at The Frida Cinema on Thursday, August 30th at 8:00 PM for a special 30th Anniversary presentation of his cult classic film NIGHT OF THE DEMONS. Entrance will be included for all Horrible Imaginings passholders. 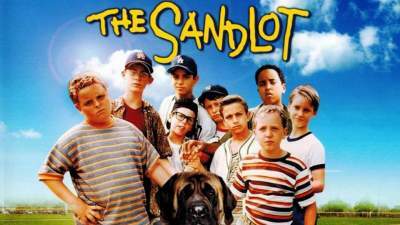 Enjoy a free screening of “The Sandlot” on Saturday, July 15 at 8:00 p.m. at Fairhaven Memorial Park & Mortuary Santa Ana, located at 1702 E Fairhaven Ave., in Santa Ana. 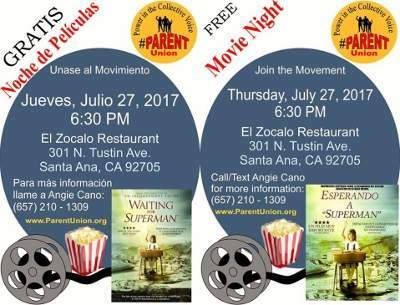 The Santa Ana Parent Union will be screening the movie Won’t Back Down at their free “Movie Night” this evening, June 29, 2017, at El Zocalo Restaurant, located at 301 N. Tustin Ave., in Santa Ana. Join Johnny and Baby and ‘have the time of your life’ at Fairhaven Memorial Park’s free screening of “Dirty Dancing” on Saturday, July 16 at 8:15 p.m. 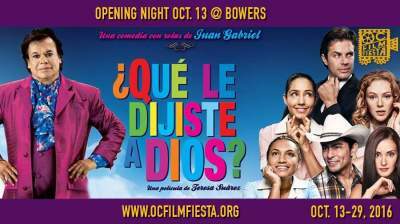 Final Film in OCCTAC’s Latino Music Film Series at Frida Cinema! Orange County Children’s Therapeutic Arts Center (OCCTAC) Fresh off the film festival circuit, “Landfill Harmonic – A Symphony of the Human Spirit” will be screened on Sunday, February 7 at 2 p.m. at The Frida Cinema, located on Santa Ana’s historic Calle Cuatro at 305 E. 4th St., Santa Ana, CA 92701. Bolivian Consul Marco Antonio Valverde Carrasco was at the Santa Ana City Council meeting last night to invite the public to join Bolivian stars Carla Ortiz and Bernardo Peña in person for a special OC Film Fiesta fundraiser screening of OLVIDADOS (FORGOTTEN), Bolivia’s official entry to the Oscars, this Saturday, Oct. 24 at 7 p.m. at the Frida Cinema, located at 305 E. 4th St. on Santa Ana’s historic Calle Cuatro. 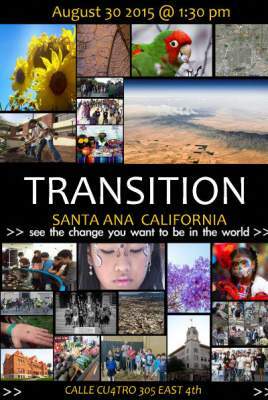 This special OC Premiere screening will be the film’s only showing in Orange County! This special screening will be preceded by a 6pm VIP reception and followed by a special Q&A by Bolivian star Carla Ortiz and Bernardo Peña. In celebration of Día de los Muertos (Day of the Dead) the Santa Ana Public Library proudly presents a special screening of the film The Book of Life (2014). 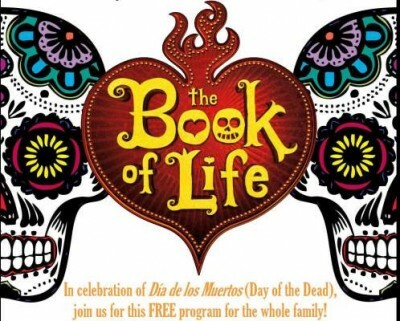 The Book of Life is a 20th Century Fox production that depicts the world of the Latin-American tradition of Día de los Muertos (Day of the Dead) through its colorful characters and music. 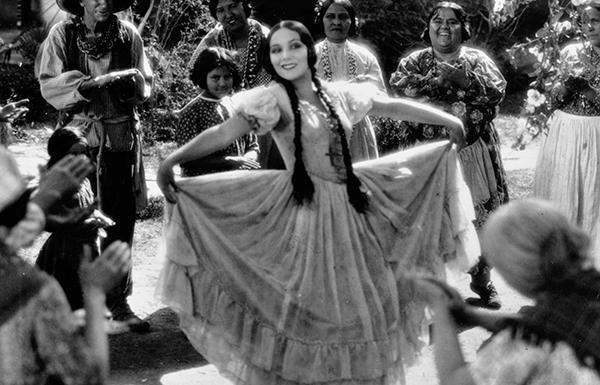 (Santa Ana, CA) The Film Fiesta is proud to take you back to 1928 this Sunday with the OC Premiere of this lost Dolores del Rio silent classic RAMONA with a new original score written and performed live by award-winning composers Joseph Julian Gonzalez (Misa Azteca) and David Spear (Ballet Robotique, The Rainbow War). 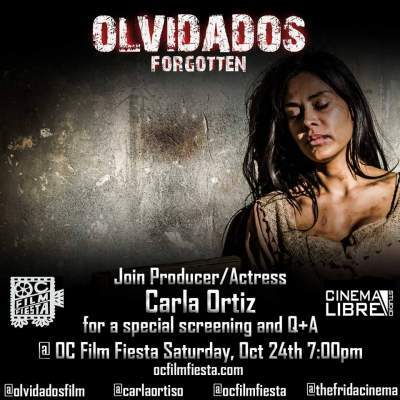 This special screening takes place on Sunday, October 18 at 1pm at the Frida Cinema, located at 305 E. 4th St. in downtown Santa Ana’s historic Calle Cuatro. Community Alert: Celebrate Hispanic Heritage Month with Film! Win Free Tickets! 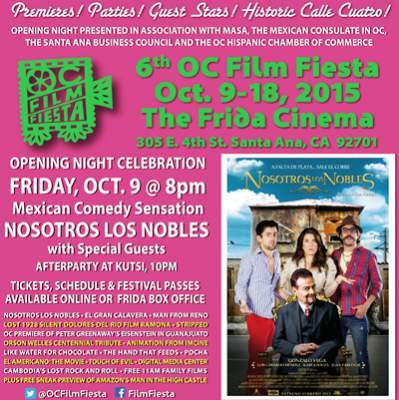 Media Arts Santa Ana invites you to join us for the Opening Night Celebration for the 6th OC Film Fiesta this Friday, Oct. 9 at 8 p.m. at the Frida Cinema on Santa Ana’s historic Calle Cuatro. 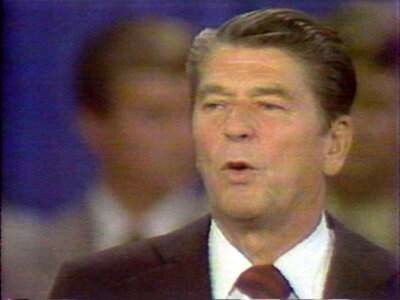 The CSUF Grand Central Art Center is hosting a video screening of Future Perfect: Time Capsules in Reagan Country (40 min, 2015), a film by Daniel Tucker, on Sep. 24, 2015, at 7 pm.